I've been trying out the highlight and contour craze. Basically, you apply a light color foundation or concealer on areas light would hit (mountains), and apply a dark contouring liquid or powder to places that shadows would occur (valleys). The MAC Pro Longwear Concealer in NC45 was just too dark for me. Interestingly, it stained my skin. I plan to go back and get some more shades to try out. There is a definite benefit to having a concealer that stains the skin, as you are assured at least some level of coverage all day. On my arm, Sonia Kashuk was too yellow, Covergirl Olay turned pink after a few moments, Maybelline blended right in (top to bottom, MAC, Sonia Kashuk, Covergirl Olay, Maybelline). On my face, it was an entirely different story. All of the shades worked on my skin, so it really came down to coverage. 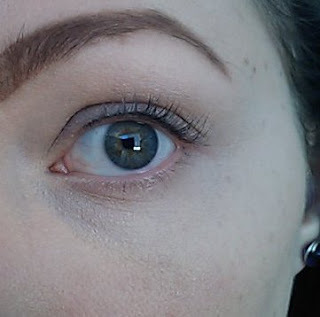 To apply, I used the triangle technique, where I apply it from the inner corner of my eye, underneath the bottom lid, and out towards my temple, then swoop back in aiming towards the middle of my nose, and then up along side my nose. Then I blended with either a stipple brush, or with my fingers in a patting motion. I don't recommend using a continuous line of concealer; rather, I suggest dotting it in on. Otherwise, you may end up with too much product on your face... Remember, you can always add more. 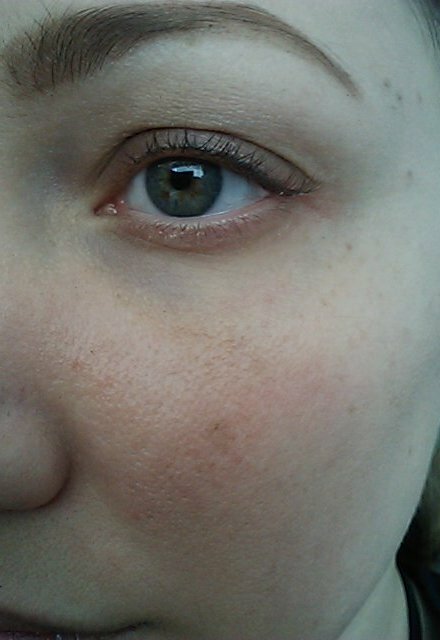 Maybeline Cover Stick Concealer in Ivory was the first one I tried. 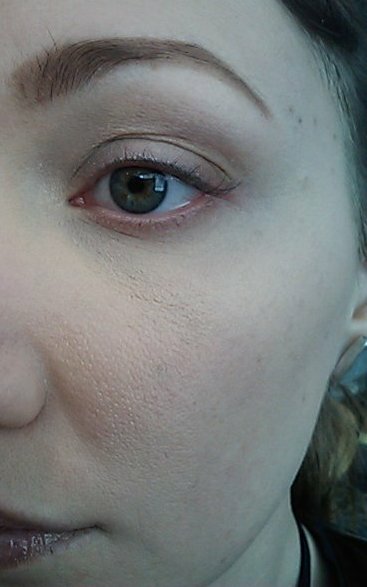 I found it easy to apply, blend, and it wore well all day. This one had the most natural-yet-completely-covered coverage. Covergirl and Olay Concealing Stick in 310 Fair performed very well also, and felt very moisturizing without creasing or being oily. This one had the sheerest coverage. Sonia Kashuk Take Cover Concealing Stick in 19 Dawn was the big surprise. Because it looked like such a funky shade on my arm, I didn't expect it to look good on my face. This one had the most complete coverage. 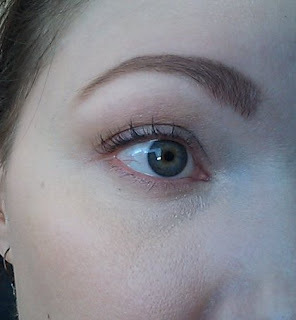 This one completely covered my undereye discoloration, and didn't budge all day. I recommend moisturizing and priming your skin well before applying this. I didn't, and you can see where it was pressed into my pores to the right of my nose. 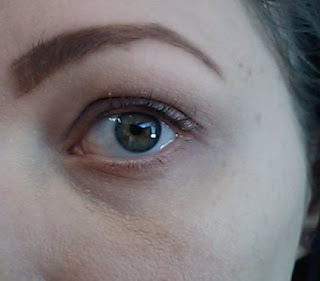 If this happens to you, you can correct it by dabbing a bit of moisturizer there, and then using your stipple brush or your fingers to gently work the product out and smooth it over. Overall, I am very impressed with these concealers. 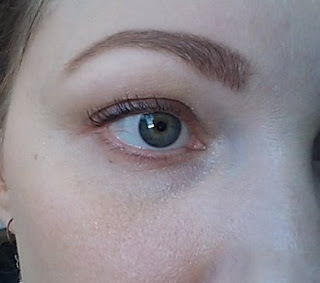 I didn't expect them to perform as well as some of my high-end concealers, but I think they did just as well, if not better. You can get all three of the stick concealers for about $20 total, and I definitely recommend trying out all of them. All three are in rotation in my makeup bag, and I don't even look when grabbing one for daily use because they all work so well. If I need full coverage, I do gravitate to the Sonia Kashuk stick.